The Phizzing Tub...: Oh Happy Day! 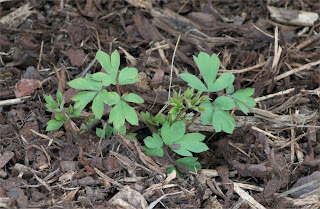 If you recall from last week, I was a bit disappointed that my large bleeding heart plant was not up. I pretty much wrote it off but I noticed that it was back! Yup, I am now quite happy and content.